Mascus last years' charity campaign, when a farm animal was purchased for a village in the developing countries, was well appreciated by our customers and we received very positive comments from them. This year for the second time, Mascus has decided to participate in the World Vision Program's campaign "A gift with special meaning ." Instead of sending Christmas cards to all our customers, Mascus will purchase a meaningful gift – a COW for a family in need in Uganda. By purchasing a Holstein (Friesian) cow, Mascus will make a difference in the lives of a family in need. The cow can provide a family with ten Liters of milk on average every day, out of which half can satisfy the family daily nutrition needs and the rest can be sold. A part of the donated money will be used for training the villagers to take care of the cattle and practice other agricultural activities. 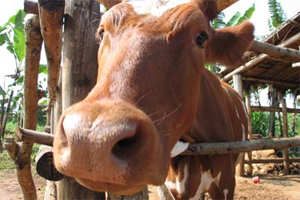 We hope that donating a 'Mascus' Cow; will give the real Christmas spirit to all of our customers and the Mascus Team. 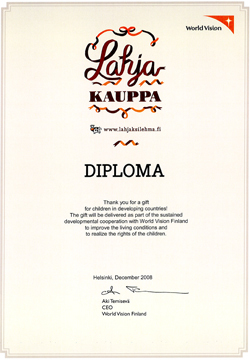 To get further information of this type of contribution, follow the link to the World Vision's Website .